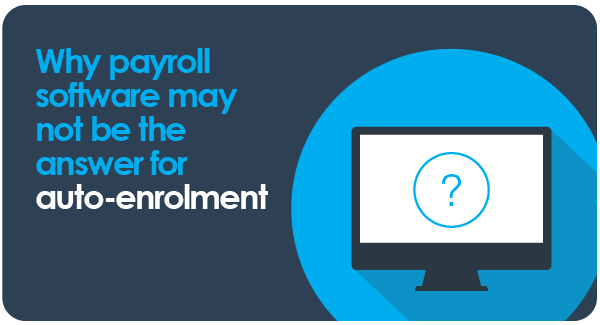 Many believe that their payroll software will manage their auto-enrolment requirements either directly or via their accountant. Most payroll software can deliver this but it needs to be established correctly in the first place and there is increasing evidence derived from audits we have conducted that this does not happen. Communications –employees are not receiving the required updates. This should not come as a surprise as payroll professionals are experts at delivering payroll not the intricacies of auto-enrolment. You should also consider that these systems only process what you tell them to and there is no validation or audit, and neither the software nor the receiving pension provider takes any responsibility for the process. In a recent example a small logistics company approached us after their payroll provider had incorrectly set up the payroll software, the result of which was that we needed to wind back and re-run 40 weeks of assessments, re issue all communications as well as the employer making good all back-dated contributions. The cost to the employer was in the thousands and with no contract or Service Level Agreement in place with their payroll provider they were left to pick up the bill. There is getting it done and there is being compliant – there can be a huge difference. Contact us today to review your current solution and learn how we can help you to remain compliant in your auto-enrolment duties. Infographic – What does a motivated employee look like?